Oh the irony of burned popcorn...not to mention the lingering, putrid smell. A mere 15 minutes before date night with my man finds me juggling an impossible amount of things, all while just trying to ready myself. I hoped to smell of one who had freshly showered, but that was not to be. There is a mound of the evidence dumped outside the back door. I left with an odor in the house, on my clothes and hair that lingered well into the date night. 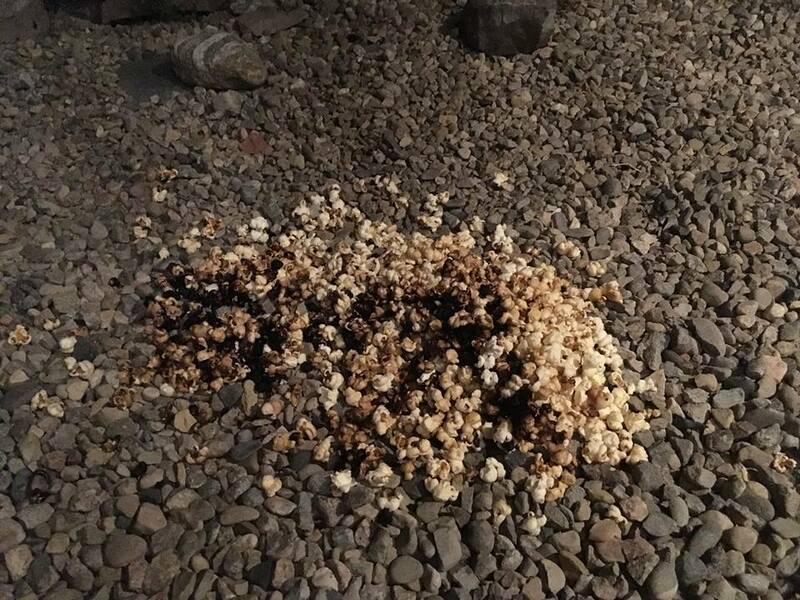 Good thing my husband loves me regardless of my 'smell', the sitter and kids still got non-burnt popcorn for the movie, and the kids got a good laugh out of me racing through the house to dump it!! Just keep juggling folks, hang in there when things stink, love people, seek God.